Are the facilities and treatments used for managing sanitary waste putting your health at risk? Following the first ever comparative sanitary waste review, Dr Emma Saunders, General Manager at Genesis Biosciences, analyses the risks of poor washroom hygiene. Keeping washroom facilities clean (from the floors to feminine hygiene units) creates a good visual impression – offering a welcoming, comfortable environment – which suggests business success and a commitment to caring for staff and visitors. Strict hygiene procedures are also essential in reducing the spread of viruses and infections. 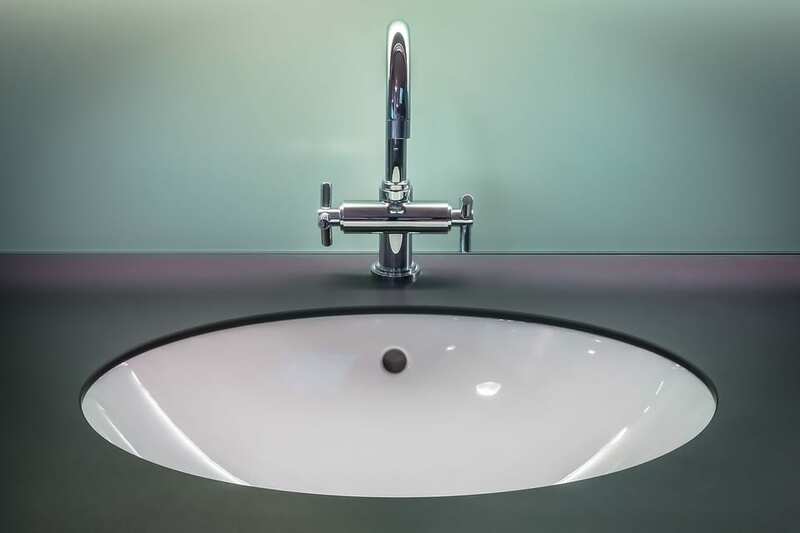 It is of paramount importance that sanitary waste is treated effectively as sanitary protection products can become contaminated with bacteria, viruses and pathogens that can survive in residues left in restroom fixtures. The humid, nutrient rich conditions found within a feminine hygiene unit are ideal to propagate the growth of micro-organisms to levels that could pose a threat to human health. The other problem associated with the proliferation of bacteria is the development of unpleasant odours. A bad odour can cause damage to your service reputation but also incur costs for early feminine hygiene unit collection and disposal. Bacteria growing on waste causes the malodour to manifest and if the numbers of bacteria present in the feminine hygiene unit are not sufficiently reduced, your service is at a greatly increased risk of the odours rising to unpleasant levels. It is not always enough to implement an “odour masker” or product that only kills the bacteria after direct contact with the waste for a sufficient length of time. Warm moist conditions are the ideal breeding grounds for malodour forming bacteria within feminine hygiene units. Coupled with the fact that foreign and organic matter is also disposed of in the feminine hygiene unit, the whole area inside the unit needs to be sanitised to control odours effectively. Given the potential risks to human health, it is vitally important to understand the various types of technologies available that can sanitise the whole feminine hygiene unit without compromising on cost, labour, human health, harm to the environment and your company reputation. The first ever sanitary waste review has been conducted by our biotechnology experts, analysing the market and products and technologies available, to help organisations make an informed decision about the risks of poor washroom hygiene. Historically, large volumes of liquid disinfectant were used to treat feminine hygiene units, but this led to an increased weight of material requiring disposal and there are concerns regarding the long-term effectiveness of liquids once they are absorbed into the feminine hygiene unit. Other sanitising products rely on different modes of ‘contact disinfection’ in order to work effectively. As waste accumulates in the feminine hygiene unit, only the surfaces which are able to come into direct contact with the anti-microbial agent for a sufficient length of time will be neutralised, rather than the whole surface area. To be fully efficacious in sanitising and preventing formation of malodours, feminine hygiene unit treatments must produce anti-microbial vapours that penetrate the whole feminine hygiene unit around, between and through the waste. Sheets, cards, powders and sachets are recommended for highly accurate dosing and provide the most efficient and cost effective service option as they are light-weight, easy to carry and take no time to drop into the bin, reducing the risk of poor washroom hygiene. To achieve the most effective treatment of sanitary waste and reduce the risks of poor washroom hygiene, research indicates that a vapour phase system provides an effective means of protection against infections and control of unpleasant odours within feminine hygiene units. Dr Emma Saunders is General Manager at Genesis Biosciences. The Biosan Series, including e card and P-Max feminine hygiene unit sanitisers have advanced vapour technology. Both products release a pleasant aroma in the surrounding washroom. In addition, the e card is derived from sustainable materials and will biodegrade when disposed of. The product recently won an innovation award in the chemical products category at Pulire, an international exhibition for professional cleaning technologies.